1. 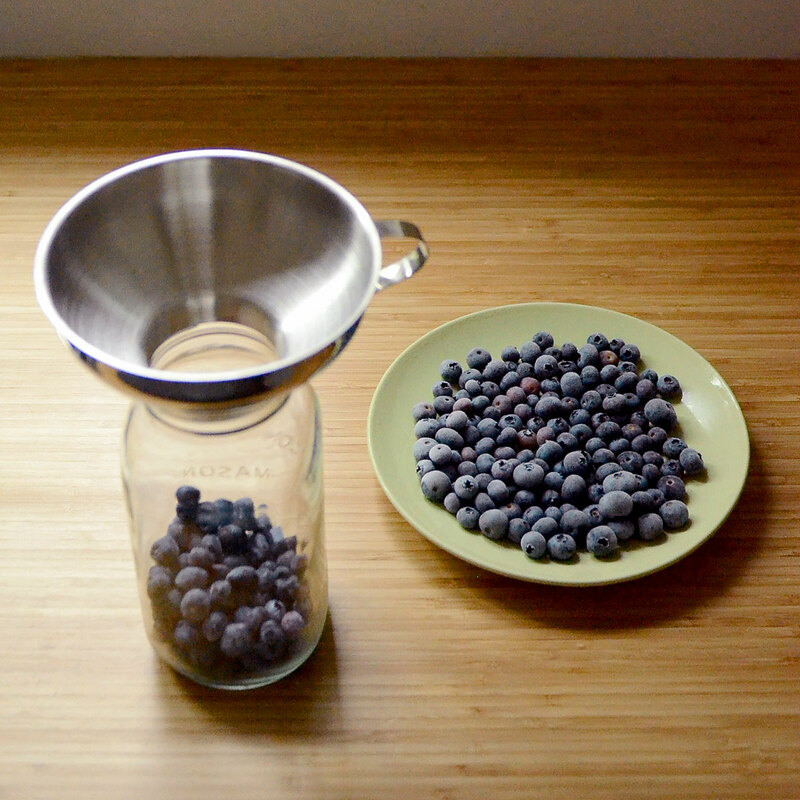 Rinse fruit and place in a single layer on a cookie sheet. To prevent fruit from sticking, you can place a sheet of parchment paper on the cookie sheet first. 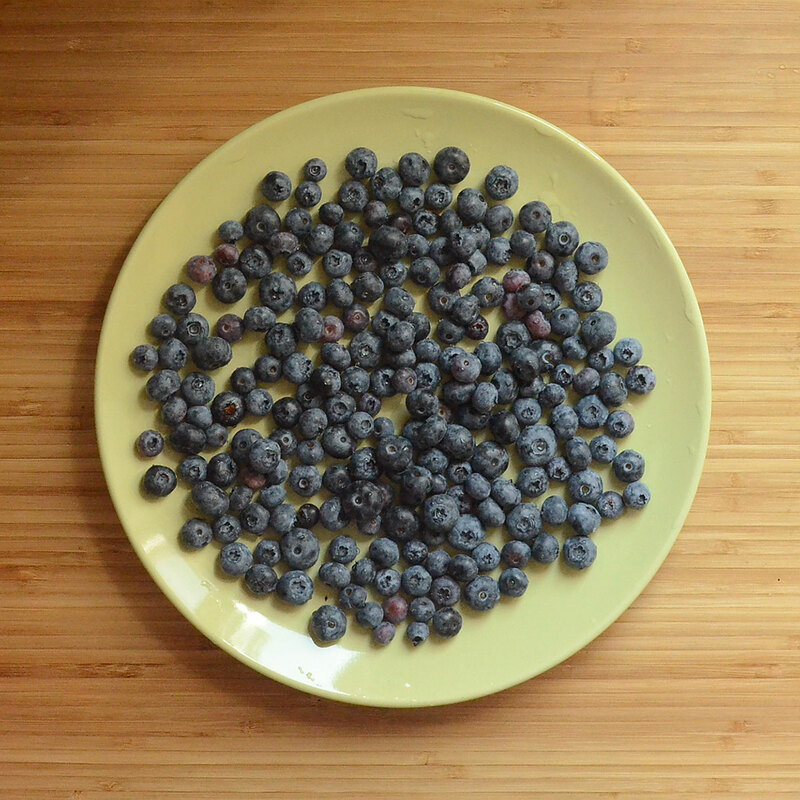 Since I have a small freezer, I put my blueberries directly on dinner plates then covered them with an upside down plate so I could stack several on top of each other. 3. 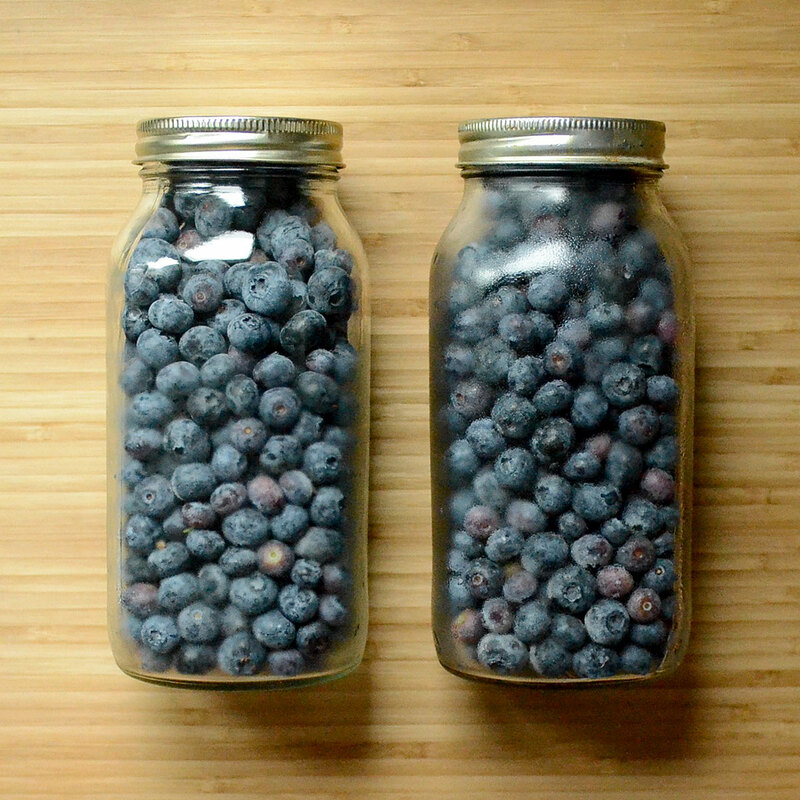 Close your mason jar and store in the freezer for as long you would store-bought frozen fruit. I’ve had “freezer safe” reusable containers burst in the freezer, so I’m wary of using mason jars to freeze produce. Have you had any issues with mason jars breaking in the freezer? Is there a specific brand you buy?